Deep under the Arctic Ocean, American submarine Captain Joe Glass (Gerard Butler, Olympus Has Fallen, 300) is on the hunt for a U.S. sub in distress when he discovers a secret Russian coup is in the offing, threatening to dismantle the world order. With crew and country on the line, Captain Glass must now assemble an elite group of Navy SEALs to rescue the kidnapped Russian president and sneak through enemy waters to stop WWIII. 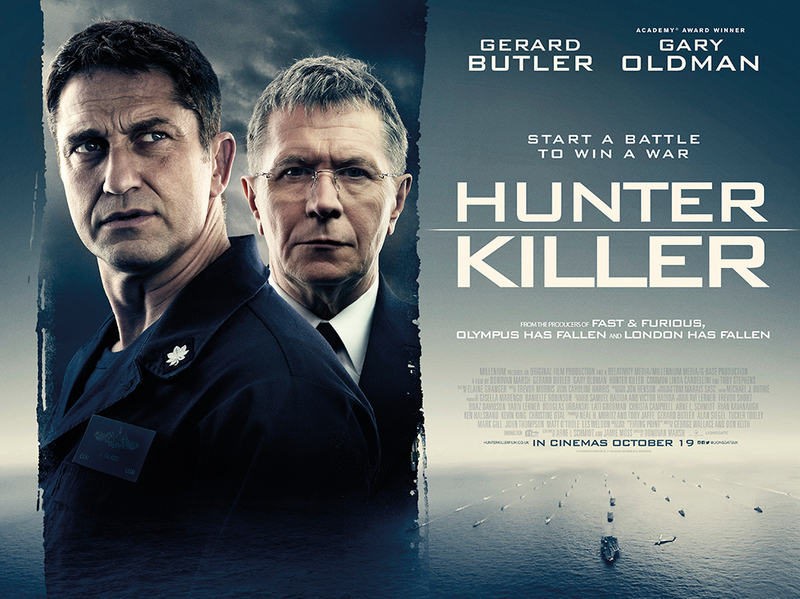 Also starring Oscar® winner Gary Oldman (Best Actor, Darkest Hour, 2017), Common (John Wick: Chapter 2), Linda Cardellini (Avengers: Age of Ultron) and Toby Stephens (Die Another Day), HUNTER KILLER is a high-stakes thriller that unfolds both by land and sea.